Murder by Natural Causes is a classic 1979 American mystery film written by the creators of Columbo, Richard Levinson and William Link. Wealthy international mentalist Arthur Sinclair (holbrook) has an ailing heart and he must wear a pacemaker. His seemingly devoted wife, Allison (Ross), Devises an intricate plot to kill her husband by shocking him into a cardiac arrest. Allison seeks the help of her two lovers to help plan this perfect murder. Her plan in place, Allison sets the stage for the kill. But Allison doesn't realize the mental powers her husband really possesses. The perfect plot turns into a nightmare of terror! 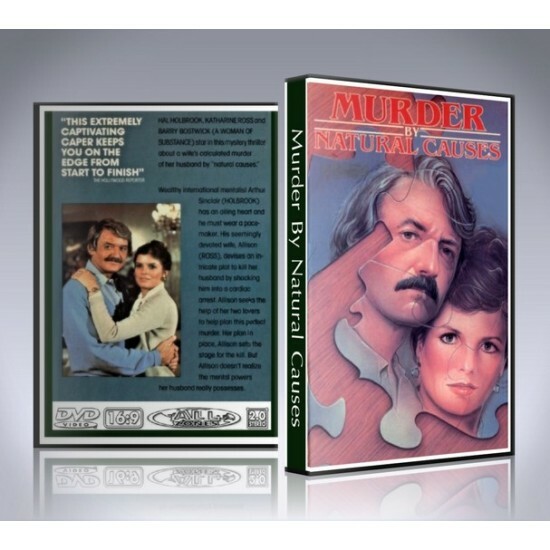 The Murder by Natural Causes DVD includes custom artwork and DVD menu.